I was reviewing some documents a while back when I saw this acronym right smack in the middle of a name: John NMN Doe. So, in typical Relentless fashion, I began to wonder what NMN meant. I stared and stared and then finally, it hit me: NMN means "No Middle Name." Phew! It could have been a lot worse like "No More Noodles" or ... (fill in the blank). I apparently had been playing around with the acronym myself without knowing it when I put up this post titled "No Means No" . Now, I wonder if you know any Nigerian who has NO middle name. I mean, not a single one. I certainly don't. If anything, the Nigerians I know love to give children plenty names. The parents will have their names for a child, and then the grandparents (paternal and maternal) will also have their own special names for the child. I guess the most important names are the ones that appear on the birth certificate, right? 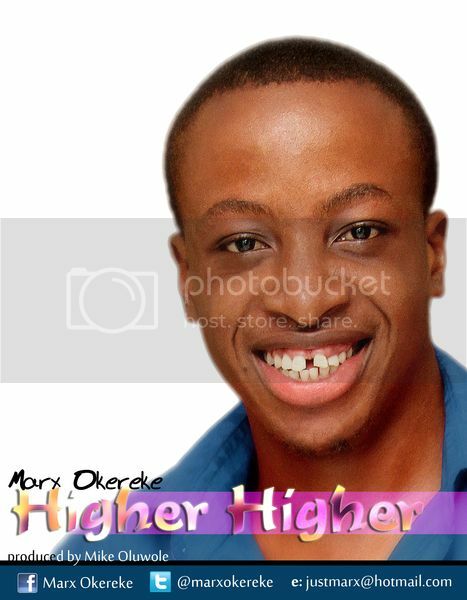 While blog hopping one day like that, I came across Marx Okereke's song, "Higher Higher." Did you know that he was a 2nd runner up on a gospel reality TV show titled "NEXT GOSPEL STAR"? No? Well, I didn't either. Likes: From the Intro to the end of this track, Marx Okereke exudes confidence. You feel like dis guy sabi wetin he dey yarn. The way he sings the verses (My brother, do you see the things happening around the corner, etc) reminds me of Okro soup ... in a good way! Let me explain. There's a slight drawn-out way he lingers on pronouncing and singing the lyrics in the verses that makes you want to hear more. That "draw-draw" effect works perfectly with the beats. That Naija flavor is present and you can't miss it. Specifically, if you listen to him when he sings the same verses the 2nd time around, you can clearly hear the guitar (That's a guitar, right?) repeating or echoing what he has just said (starts around 1:51) and that's a welcome variation. Speaking of the beats, I'll have to describe them as "dance-worthy." You just want to sway and dance to them. Well, I am speaking for myself, when I say "I do!" I did not have a hard time deciphering what he was talking about as he pronounced the words clearly. The background vocals were on point as the harmony was well-blended and they did not overshadow the lead vocalist at any time in the song. In other words, they remained "in the background." Another thing I really liked about this song was the fact that it was not until I came to the chorus that I realized that this was another version of the popular "Obuliwon" song. I like this version of the song and the fact that Marx made it his own by adding on new verses but kept the chorus in its original form, with slight variations. For the style of music he has chosen here, his vocals were good, and they were especially highlighted by the indispensible adlibs. The overall song structure along with the instrumentation was well done. Since this is a single, I am definitely looking forward to the full album, whenever it is released. Dislikes: At 5:24, this song is quite long, in my opinion. What would justify the length of this song would have been a MAJOR variation in the song structure somewhere in the middle or thereabout. Instead, the song follows the same pattern and with the repitition of the same verses with only a slight variation, it can get boring. Furthermore, this might come down to personal preference, but I would have preferred to hear more words/lyrics in Igbo incorporated into the song's structure. The song-writing for the verses was fine, but could be much better. Furthermore, the adlibs could have been varied more instead of just repeating "Obuliwon." I think he had many good opportunities to really show off his vocal dexterity, but didn't take advantage of them. That may have to do with the producer's decision to keep the song as close to the original as possible. I am just speculating, though. Recommendations: (1) Eliminate some of the repitition and shave off 1 minute or more off the song (2) Lead vocalist, Marx Okereke should vary his adlibs both in delivery and in the words he chooses to adlib with. Lol. I have a yoruba friend with no middle name. At least, that's what she says. She has no middle name on all her certificates and credentials, that I am sure of. The middle name is easily solvable if you want one, you can give yourself one. In this day and age its quite easy to do. 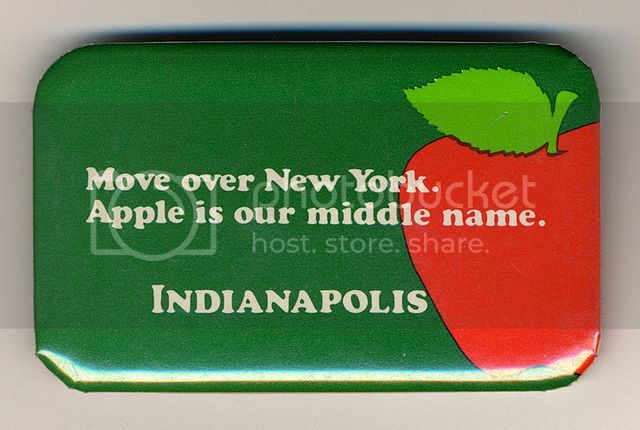 There are many people who have no middle name. Toin: Exactly! That has been my own experience too. And don't even get me started on the Oriki. It deserves a special blog post all by itself. Toin: *shuddering in fear* Oh, the horror of "No More Noodles!" What would life be without them? LOL! 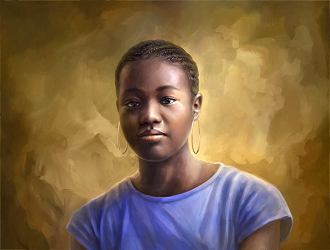 Rhapsody: Yes, there are people with no middle name, but amongst Nigerians, I haven't seen it. Not that it doesn't exist, but the opposite is the case most of the time. You can definitely give yourself a middle name or even change all your names if you choose. Good point. Have a blessed week too. Thanks! Yoruba people typically have tons of names. I do, however, know a few Nigerians with only one name. I have to confess that I do not know any Nigerians without middle names, most have at least two and some up to 5 or 6, lol. I like the song too, and agree with you about adding more adlibs, either in Igbo or English. I think the length may have to do with being invited to play in churches and having a long enough track. 'Relentless NI Builder' ehn! LOL! You're just hilarious. First names being English for Yoruba people is rare though. At the moment, I also can't remember if I had a friend or met someone without a middle name. Naija we like names a lot gan. I sha understand why Nigerians like to give so many names. We believe that names have meaning and that meaning is connected to the child's future /destiny (hopefully). So we like to tell the child's entire life story in the name. Who wan name their pickin 'Monday' and that's it?? First, you'll start with Monday (when the child was born) and then you'll use the middle names to tell of the 'goodness of God' that will hopefully happen/happened in the child's / family's life. And of course everyone wants to say they had a hand in the child (it takes a village to raise a child and whatnot), so what better way to do that than to give the child a name. I DO I DO........I know a nigerian without a middle name. lol. i honestly do not know a nigerian without a middle name, we all have close to ten names in my family and yes names are for telling stories, i know the Yoruba names my mum gave my brothers are sentences.. ie Olaoluwadijibomi and Oluwafolayotomilowo ..outstanding names yeah? we just call them Diji and Fola ..phew! Oluchi: You're right on that. I don't personally know any Nigerians without middle names, but I am finding out that they actually exist. Myne: I don't either, so that makes two of us. LOL at 5 or 6. They might have more than those if given the chance. Your point about performing in churches might explain the length of this song. However, making provision for live performances in the future should not excuse making the track longer than it needs to be. That could done to the "instrumentals only" track which could be used to perform at different events. That's what I think sha. Michael: Were you expecting me to put my real name there? "NI" it is jo! About first names for Yoruba people, English names are not common, I agree. But for those who do, they are not a rare species (Shebi your own first name is English too). Yes o, Naija people like names a lot. Maybe too much gan-an. Dayo: I must say that your own take on this issue was so unexpected, but it's very logical. It makes sense that middle names would be used to prophesy into the child's life and that other family members will want to leave their own mark too. As long as the parents allow it, so shall it be. But names are spiritual, so why wouldn't you want to give good names to your child? LOL at Monday. It's actually pretty common. I am yet to meet someone called Wednesday though. I was really amused by your little sister's name story. Your dad's boss? So did your dad return the favor? I don't blame you for not understanding it. I am still puzzled. Yay for finally commenting! *wink* Thanks for stopping by, ma'am! 9jafoodie: LOL! Would you happen to be the one, ma'am? Or someone else? I don't sha. Jemima: *mouth ajar* Your mum wasn't even playing. And I thought Iteoluwakiishi was a long name (it WAS one of the longest names I had heard ... before I saw your brothers' names). Those are definitely outstanding and unique names. Diji and Fola are wayyyyy easier to pronounce, especially for those of us who have a tendency to mispronounce. For once, I am glad for the shorter version. Yes, like Dayo said, you're right about names telling stories. Almost like a mini-autobiography without the publishing palaver ... LOL! LOL at "that I am aware of." The ones you are not aware of might surprise you sef! (faking your voice): "Mum, you mean Sophie, Stephanie and Sandra are my 4th, 5th and 6th middle names?!"